In December 2011, President Obama signed into law the Consolidated Appropriations Act, 2012 (Public Law 112-74). Federal Regulations mandate that effective July 1, 2012 students may only receive a Pell Grant for six years of full-time enrollment (equivalent to 12 semesters or 600%) during their lifetime. This change affects all students regardless of when or where they received their first Pell Grant. The maximum amount of Pell Grant funding that a student may receive each year is equal to 100%; this is why the six-year equivalent is 600%. Students that have already used 600% of their Pell Grant eligibility will no longer be eligible to receive a Pell Grant starting summer 2012. There are no exceptions to this regulation. Students with 500% or higher but less than 600% may have limited Pell Grant eligibility remaining for the current year. If your annual award at full time enrollment is $5550 and you received $5550 for the year, then you have received 100% of your award for that year. If your annual award at full time enrollment is $3000 and you received $2250 for the year, then you have received 75% ($2250 divided by $3000 = 75%) of your award for that year. If your annual award at full time enrollment is $5550 and you received $2081 for the year, then you have received 37.495% ($2081 divided by $5550 = 37.495%) of your award for that year. If your annual award at full time enrollment is $5550 and you received $600 for the year, then you have received 10.81% ($600 divided by $5550 = 10.81%) of your award for that year. Your annual percentages are added together to determine your Lifetime Eligibility Used. Once you reach 600% you are terminated from receiving any additional Pell grants. Where can I view my Pell Grant Lifetime Eligibility Used (LEU)? The Department of Education keeps track of your LEU by adding together the percentages of your Pell Grant scheduled awards that you received for each award year. You can determine how much Pell you have used and what you have remaining at nslds.ed.gov. I have questions about this, who do I contact? 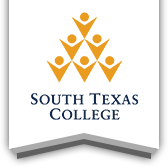 South Texas College Financial Aid Staff are available to discuss Pell Grant Lifetime Eligibility Used and answer any questions you may have. You may decline all or part of your disbursement of Pell Grant funds that you are otherwise eligible to receive. You may wish to take this action if you expect to qualify for a larger Pell Grant in future years as a result of an expected transfer to a more expensive educational institution or an expected change in your expected family contribution. Returning Pell Grant Funds You may return all or a portion of Pell Grant funds that you are otherwise eligible to receive, as long as this action is taken during the same award year. You must deliver to our Student Financial Services Department a signed, written statement clearly indicating that you are returning Pell Grant funds for which you are otherwise eligible and that you understand that those funds may not be available once the award year is over. After the statement is submitted, you will then need to return the funds directly to the STC Cashiers Office.